Listen, I know better than anyone that running an event planning business can be extremely challenging but you can’t sit around and cry about it, you have to pick yourself up and keep going. Just this past month I was told NO more times I want to admit. HOWEVER, I was told YES. We need to celebrate our wins! Exercise. Experts say you need to exercise to help relieve the stress and keep your brain focused but as an event planner, it’s important to exercise to keep your body strong. Setting up an event can be grueling on your body. I have a team to help onsite for set up but if you’re like me, I can’t sit around and watch others do all the work. I have to pitch in to help out. I was raised to be a hard worker. I exercise at least 5 times per week for 30 minutes each morning before I start my day doing cardio and weight training. I paid $99 per year for Beachbody on Demand and workout in my living room. That is way cheaper than $99 per month and it saves me time from going back and forth to the gym. Schedule your workouts on your calendar and stick to them. Eat Healthy. Try to stick to a healthy diet – hormone free proteins, organic vegetables and healthy fats. Stay away from the carbs and sugars. I find that I feel unfocused and lethargic when I don’t follow a healthy diet. Stay hydrated – drink at least 10 glasses of water per day. Sleep. Try to get 7 to 8 hours of sleep per night. I am one of the lucky ones who can sleep 8 to 9 hours per night. Most of the time I put in 15-hour work days but I still get my sleep in. If I don’t get my rest, I will be unfocused and unproductive and every problem in my business (and life) will feel bigger than it is. Stay organized. The only way for me to stay focused is to organize my days. I schedule everything in my mac calendar (e.g., workouts, meetings, phone calls, lunch and dinner dates, doctor’s appointment, etc.) I schedule all business and personal tasks. Every Sunday I make a list of the tasks I need to do the following week (prioritizing the money generating tasks first) and work through the list crossing tasks off as I get them done. The following Sunday I create a new list and move the tasks I didn’t get done from the previous week to the new list and so on. You need to get it out of your head and on to paper. A great tool for checking off tasks is Wunderlist, and it’s free. Fun Time. You must take some time to have fun. As an event planner, it can be challenging to have fun outside of work because we are so busy but you need plan to do some fun things away from the hectic event industry. Again, put it on your calendar and stick to it. Keep Going. Finally, keep going. Even if you are feeling discouraged, don’t give up. Even if you are getting a lot of NOs, keep going. They say it takes at least 8 attempts to reach a cold call prospect so don’t give up. 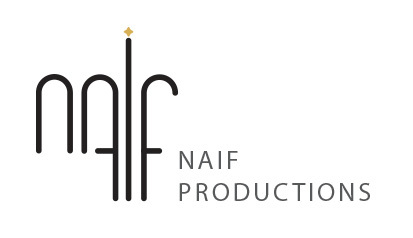 If you are struggling with your event business or want to start your own event business, contact us at coaching@naifproductions.com. You can learn more about our coaching program on our website.